Natural range Southern Indochina, Myanmar, Borneo, Timor, Philippine, Nicobar Islands. Habitat Coastal forest, especially mangrove. Range in Japan Not established in Japan. Although this species was released on Jinaijima Is. (Izu Islands) in 1971, the population disappeared around 1995. Date Introduced to Jinaijima Is. in 1971. Route Deliberate: Released for tourist attraction. Impact Potentially: Competition. Hybridization. Damage on agriculture. Carrying parasites. 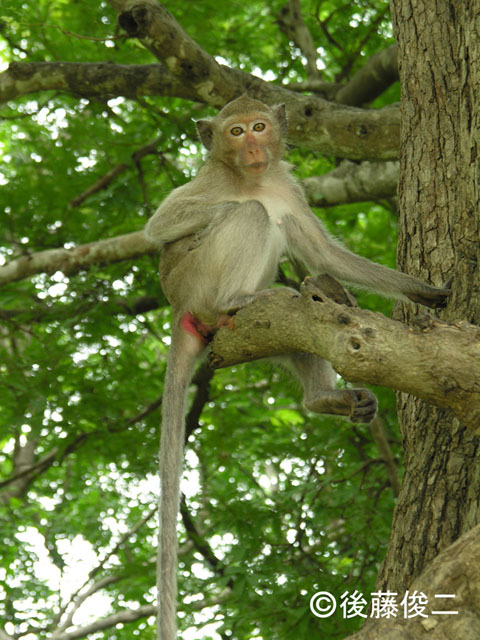 Native organism(s) affected: Native macaque Macaca fuscata, birds, vegetation, crops, forestry products. Introduced range in other countries Hong Kong, Angaur Is. (Palau), Mauritius, New Guinea.